Democratic California Sen. Kamala Harris, who’s running for president in 2020, claimed that global warming was behind devastating natural disasters Americans see every year, including wildfires and hurricanes. “Let’s speak truth — climate change is real and it is happening now,” Harris said at her first presidential rally in Oakland, California, Sunday. 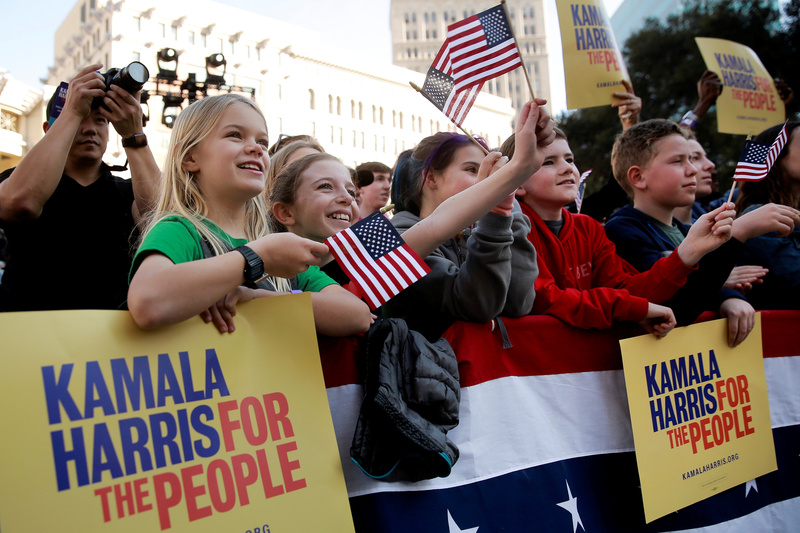 “Everybody here knows from wildfires in the west to hurricanes in the east to floods and droughts in the heartland, but we’re not going to buy the lie, we’re going to act based on science fact, not science fiction,” Harris said at the rally, which attracted thousands. A look through the U.S. government’s fourth National Climate Assessment (NCA) shows little evidence for what Harris claims “everybody knows” about global warming. In fact, there’s little evidence and low confidence in tying global warming to many types of natural disasters. California, which Harris represents, saw its deadliest wildfire on record last year that took the lives of 86 people and destroyed thousands of structures. While tragic, a University of Washington climate scientist found “no credible evidence” linking the deadly Camp Fire to global warming. “Analysis of 200 U.S. stream gauges indicates areas of both increasing and decreasing flooding magnitude but does not provide robust evidence that these trends are attributable to human influences,” the NCA reported in regards to flooding. Harris announced her 2020 presidential bid on “Good Morning America” in January. Harris raised about $1.5 million, mostly from small donors, within 24 hours of her announcing her candidacy.